Savvy Spending: TCBY: Free 6 oz cup of Frozen Yogurt on Father's Day for Dads! TCBY: Free 6 oz cup of Frozen Yogurt on Father's Day for Dads! TCBY is once again treating fathers nationwide to a FREE 6 oz. 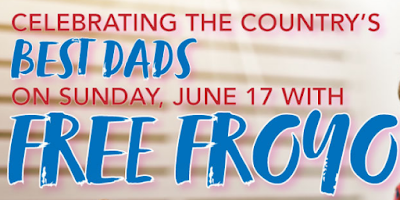 cup of frozen yogurt on Fathers' Day, Sunday, 6/17!